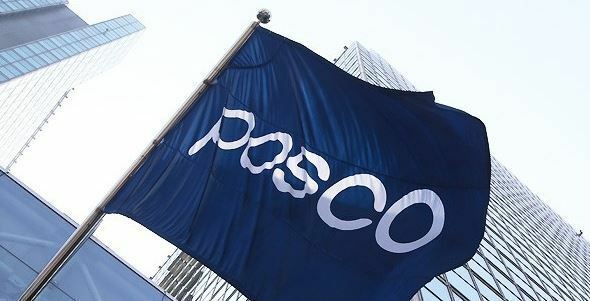 South Korean steel giant Posco said Thursday it has decided not to pursue the acquisition of a local electric vehicle parts maker, saying that it does not fit into its battery business. The company was eyeing KCFT, formerly known as LS Mtron, which manufactures copper foils and flexible copper clad laminates for lithium-ion batteries. “For expanding our secondary battery business, we had reviewed (the feasibility) of acquiring the copper foil maker, but decided not to pursue the case anymore because it was deemed strategically not aligned (with our needs),” the company said in a statement. Posco has been expanding its battery business through its affiliate Posco Chemtech, which produces cathode and anode materials. Market insiders had said that acquiring KCFT could expand Posco’s business portfolio in the nonsteel sector. KCFT is wholly owned by KKR. The private equity fund acquired the company from LS Group for 300 billion won ($266 million) last year. The PEF has reportedly assigned Morgan Stanley to proceed with the sale on March 28. It is reportedly asking for 1 trillion won for the sale of KCFT. Local reports quoting insiders said that SK Group might also participate in the bid. Both SK Holdings and its energy arm SK Innovation denied the reports.